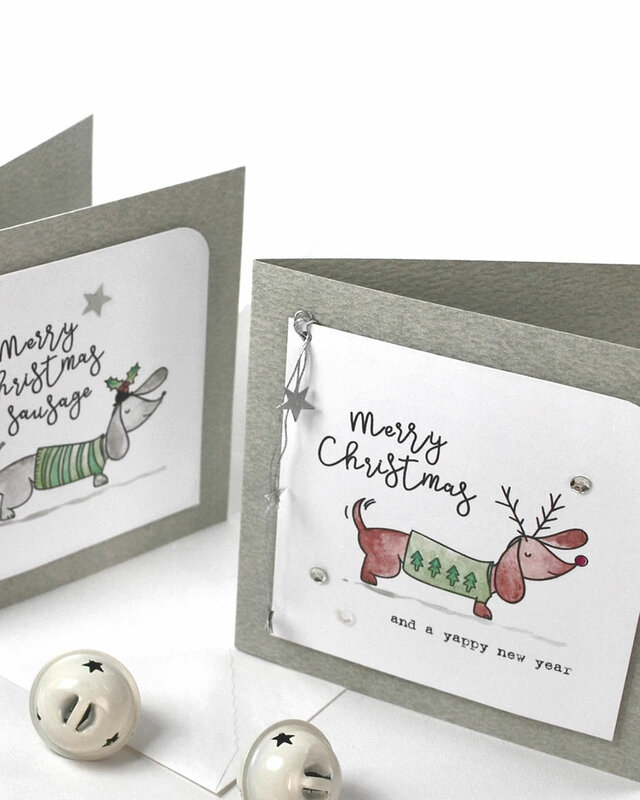 - 2 new Christmas Images, 'Festive Dachshund' and Fa La Llama. I've also added non-Christmassy versions of the Sentiments & Images into the All-Occasions Boutique too. And a new paper design to The Colour Collection & French Country Collection too. I'm going to be giving you the details for all of them individually here on the Blog over the next 2 weeks. You can find 'Festive Dachshunds' *here* in the Boutique. Everything that's new for Christmas 2018 *here*. And everything that's new for other Occasions, *here*. 125mm Square Card Blanks, cut from 250gsm White Hammered Card, printed with 'Wild Willow' from the free Colour Resources Pack. 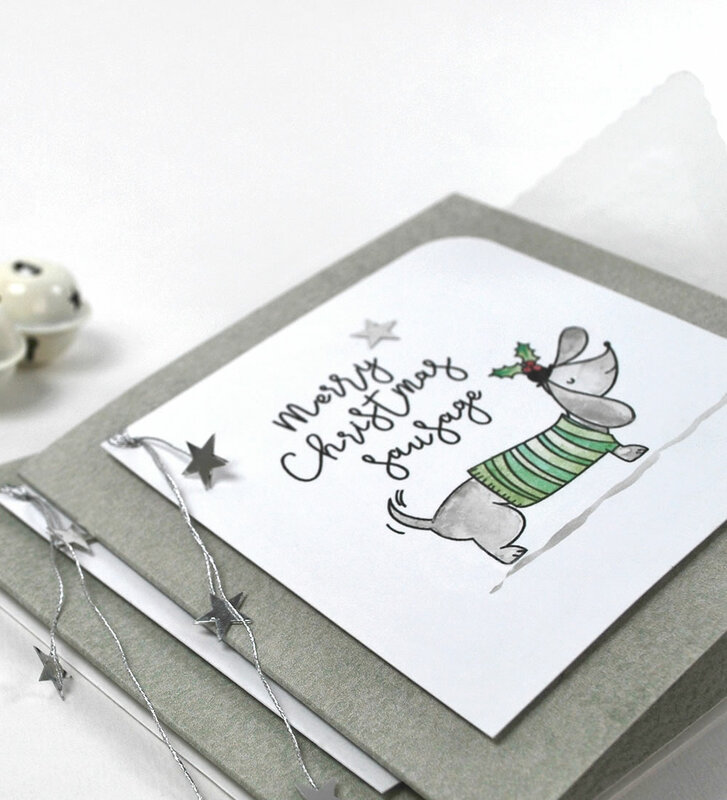 Images with Sentiments: 'Festive Dachshund' Digital Image Stamps printed onto Smooth White Card & coloured lightly with Watercolour Paints. We R Memory Keepers Crop-A-Dile Corner Chomper. Small silver stars,silver thread & a selection of small sequins & crystals.